There is a strict no smoking policy on the premises. 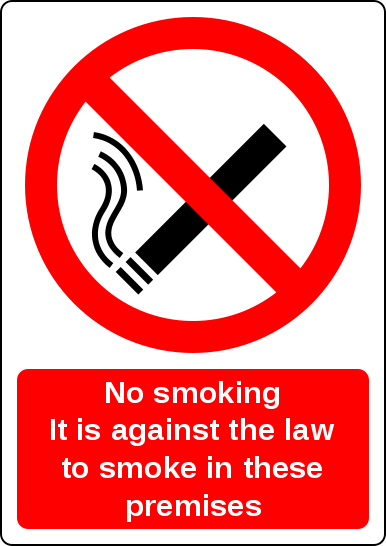 NO SMOKING signs are displayed. Care will be taken to make certain that the standards of hygiene are maintained to ensure the safety of all children. Children will be encouraged to wash their own hands after playing in the garden/park/playground. After using the toilet, before eating and preparing food and after handling pets/animals. Disposable tissues and wipes will be provided at the setting, children will be encouraged to cover their mouth when coughing/sneezing. Use tissue to wipe their nose and to dispose of it by flushing down the toilet. Cultural and religious practices will be taken into account such as food preparation and washing routines. Children will be given non-prescription and prescription medicine or medicine such as calpol/nurofen only with prior written agreement from parents. Medical recording sheets will need to be completed by both parent and childminder. Please notify me of the last time your child had any medication before attending the setting. Consent required for plasters and cream e.g. Vaseline or sudocream. There is a fully equipped first aid kit on the premises, it is located on the top shelf in the main childcare room. I have an up to date first aid certificate. In a case of an accident, parents will be notified and the accident recorded in the accident book, parents will be required to sign the accident book. I refreshed my first aid certificate on 13/03/2013. Please notify me of any sickness, illness or infections that your child has. Parents will be given a list of other illness/infections and their exclusion periods. Here is a link to the latest Public Health England'sGuidance on infection control in schools and other childcare settings. Parents will be notified if their child becomes sick/ill while attending the setting. Over the last 21 years of my childminding career I have lost only 6 days due to ill health. Long may this continue! I will notify you at the earliest opportunity. I will inform you of the nature of my illness and the estimated time I will be unavailable to provided childcare. Tel - 0121 303 3512. I will do everything I can (If the situation allows) to help you find alternative care but, in some circumstances you may have to make your own arrangements. I will keep you informed of my progress and the date I expect to resume childcare.